SAO PAULO — Two dramas that grabbed global attention — the Olympics in Rio de Janeiro and the removal of Brazil's president — have now concluded. But Brazil is far from answering the biggest challenge facing the country: How can Latin America's largest economy climb out of a deep recession? Brazil's economy shrank 3.8 percent last year and the International Monetary Fund is forecasting it will shrink another 3.3 percent this year. Brazil's unemployment rate hit 11.6 percent in July, up from 8.6 percent a year ago. And the budget deficit is on pace to reach almost $48 billion by the end of this year. Much of the grim news snowballed over the last year while Congress was consumed by the fight over President Dilma Rousseff's future. On Wednesday, the Senate answered that, voting 61-20 in favor of removing Rousseff from office for breaking fiscal laws in her management of the federal budget. For some, that is cause for hope that things can turn around. "The economy hit the bottom of the barrel under Dilma and the PT (Workers' Party)," said Marcelo Teixeira, a 28-year-old high school teacher in Sao Paulo. Some analysts believe that with Rousseff's fate resolved, companies that had held back because of political uncertainty may begin investing. But there are also widespread fears that Brazil's political troubles are too great to be overcome by just replacing Rousseff. "Even with (Rousseff's) removal, you still have a very dysfunctional political system in Brazil," said Monica DeBolle, a senior fellow at the Peterson Institute for International Economics in Washington. Rousseff's successor, Michel Temer, took over on an interim basis in May when the Senate voted to impeach and suspend Rousseff. He will now serve out the remainder of Rousseff's term. While he has put forward an ambitious reform agenda, DeBolle said Temer will face huge obstacles in getting his program enacted in the short time he has before the country's next presidential election in 2018. "People will see him as a lame duck and he will face a very difficult political environment," she said. 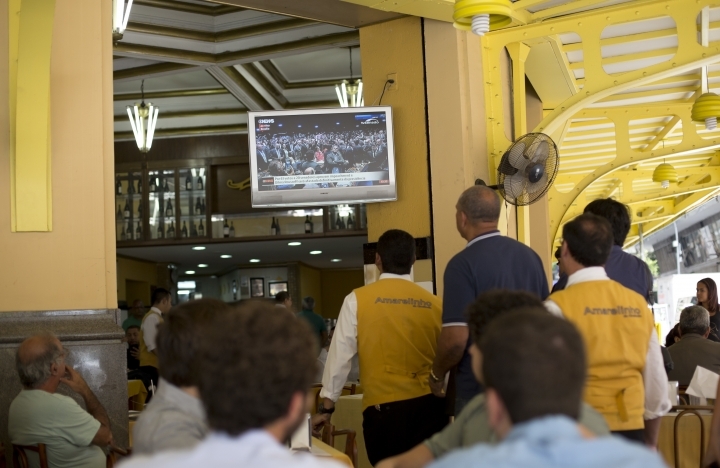 To curb soaring budget deficits, David Fleischer, a professor emeritus of political science at the University of Brasilia, said Temer will need to cap government expenditures by implementing a variety of austerity measures from reforming the pension and social welfare system to controlling salary increases for government workers. Those moves will likely meet resistance in Congress from lawmakers reluctant to vote for reductions in such areas as the country's pension system. To calm anxieties, Temer's government on Monday issued a statement saying it did not plan to do away with the poverty reduction and social programs instituted by the Worker's Party over the past 13 years. The statement denied that Temer wanted to raise the retirement age to 70 or 75 or eliminate sick pay, measures that have been floated. His office also said it would not privatize offshore oil fields or revoke a series of labor laws. Lucca Mendes, an 18-year-old student at Sao Paulo's Casper Libero College, is skeptical. "Things will get worse for the working class. Prices will rise even more and more and more people will lose their jobs," he said. There are some signs of hope. Brazil's stock prices have risen slightly this year on investors' belief that the worst of the economic downturn is over because commodity prices, a lifeline for Brazil's economy, have stabilized. But, when trading ended on Wednesday, the Sao Paulo Stock Market's Ibovespa Index had fallen 1.15 percent to 57,901 led by a drop in commodity prices. The IMF, in its July update, revised up its forecast for 2017 to predict that Brazil's economy will grow next year by a tiny 0.5 percent after two years of decline. Still, it remains to be seen whether modest growth is enough to get on a path to recovery. "At the moment, Brazil's economy is on very shaky ground," DeBolle said. Lehman reported from Sao Paulo and Crutsinger reported from Washington.